For dinner tonight, I made congee (rice porridge) in our rice cooker. I topped it with chives and two basils I took from our herb garden and chopped. 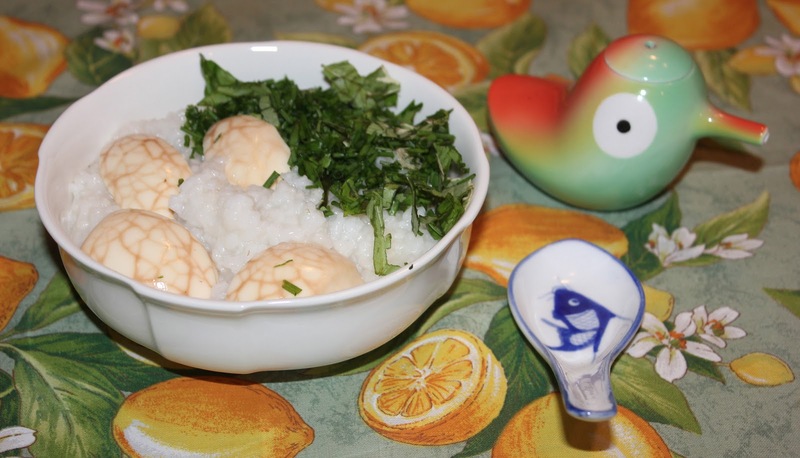 I also made a tea egg to top the congee. Healthy and good for the stomach.